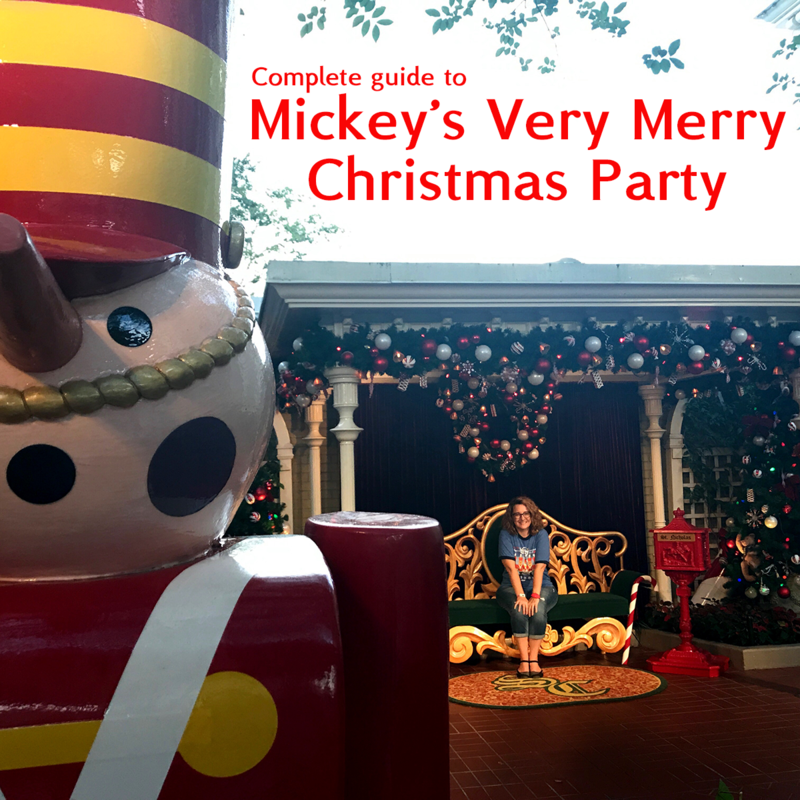 The biggest event held during the holidays is Mickey's Very Merry Christmas Party (MVMCP) which takes place on select evenings at Magic Kingdom in November and December. It features exclusive holiday entertainment, snow falling on Main St., and complimentary treats. With lots of complimentary treats, exclusive character meets, low ride waits, and some of the best nighttime entertainment with the parade and fireworks, this is a great bang-for-the-buck for your Disney World trip. The biggest downside is that many parties are sold out (or nearly sold out) which can make it very crowded. Just be sure to pick your highest priority items and you’ll have a fantastic time. This is a special event with its own ticket. People often ask about the least crowded parties and which days they should attend. Aside from the first couple parties of the year, November party dates will almost always be less busy than December dates, and Tuesdays are usually less crowded than parties offered on other days of the week. Tickets for 2019 went on sale on April 8th. Tickets are currently available by calling 407-WDISNEY or online at DisneyWorld.com. Click image to view the image larger. Tickets are non-refundable, even if there's bad weather. For this reason, we used to advise people to wait to get their party tickets until they got to Disney World so they see how the weather was going to be. However, many party dates sold out in the last couple of years, so now we suggest buying them ahead of time if you're pretty certain you want to attend. The party events begin at 7 p.m. and end at midnight. People with event tickets can enter Magic Kingdom as early as 4 p.m.* to enjoy the park in its "regular" state before the party officially kicks off at 7. You do not need a regular park ticket to visit Magic Kingdom on this day if you have a party ticket and arrive at 4 or later. *If you do not go to another park this day and enter Magic Kingdom at 4 p.m. with your party ticket, you may be able to make FastPass+ reservations ahead of time for 4-7 p.m. However, some guests have reported receiving emails from Disney notifying them that they were over their FastPass+ allowance and that their selections for their last park day would be deleted. FastPass+ isn't available once the party officially begins at 7. Here's the map for Mickey's Very Merry Christmas Party in 2018, including characters and their meeting locations. Click to view the full-sized PDF. The Once Upon A Christmastime parade shown during this party was shown daily after the last party of the year. 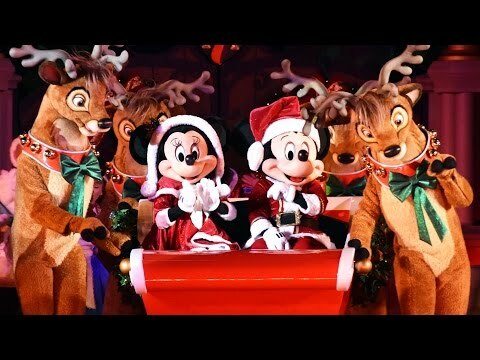 Since the last party in 2018 was on December 21, this entertainment was shown in the parks daily beginning December 22. Everybody with regular theme park admission is able to enjoy the parade (and the busy crowds) without a special ticket. For 2018, DVC members and their guests were able to enter Magic Kingdom park starting at 2:00 p.m., which is 2 hours earlier than everybody else. Simply present your valid Disney Vacation Club Membership Card and your event ticket at the main entrance to take advantage of this benefit. The benefit is valid for the Member and up to 7 guests with tickets to this event (a total of 8 people). In addition, DVC members get a discount of about $5 per ticket on select party nights. Since the park is open only for party guests, those attending will need to get special wristbands. Not only does the castle look different during the holidays, but there's a little ceremony that precedes the lighting of the castle. From early November to early January, Queen Elsa from Frozen appears twice each evening to get the Castle Dream Lights lit up for the night in a 7 minute show called "A Frozen Holiday Wish." 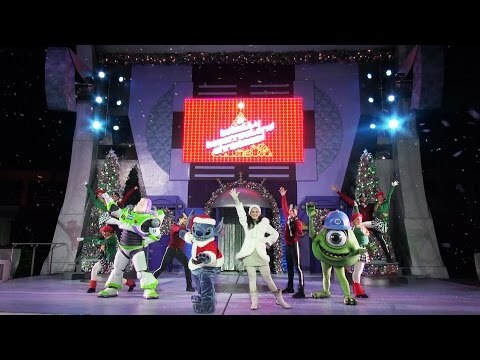 On party nights in 2018, the times for this were 6:15 and 8:15 p.m.
Disney often doesn't communicate the details of this show clearly, perhaps because they want people to think this is only part of the Christmas party, but guests are allowed to stick around to watch the 6:15 p.m. showing of A Frozen Holiday Wish even though the park closes at 6 p.m. and the party doesn't begin until 7 p.m. Tip: The best place to watch the stage show is close to the stage. If you want to be able to view the whole castle better, it's best to stand back a little bit further. Show up about 30 minutes beforehand to make sure you get a good spot to watch. This magical parade took place twice nightly in 2018 at 8:30 p.m. and 11:00 p.m. Marching toy soldiers, reindeer, gingerbread men, classic characters dressed in their holiday best, and Santa Claus himself appear in this super fun parade. Parade tip: See the second showing of the parade for lighter crowds (plus you can spend time doing other things during the first parade). Secure a spot on Main St. toward the front of the park. Viewing from there provides the best ambiance: the brightly-lit castle as a backdrop, the storefronts decorated for the holidays, and snow falling overhead. 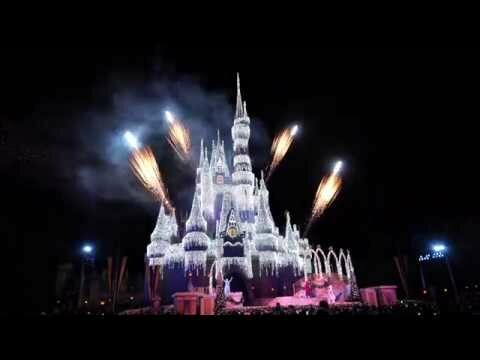 This special version of Wishes fireworks took place at 10:00 p.m in 2018. Tip: Unlike Happily Ever After fireworks, you don't need to be close to the castle to see this show. Stand near Casey's Corner for the best views, or watch from the front of the park if you want to have an easy exit afterward. Shown nightly in 2018 at 7:45 p.m., 8:35 p.m., 9:25 p.m., 10:45 p.m., 11:35 p.m. on the stage between Space Mountain and The Carousel of Progress, this funny show lasts for about 20 minutes and includes Stitch, characters from Monsters, Inc., Buzz, and others. In between showings of A Totally Tomorrowland Christmas Show, an a cappella group sings holiday favorites in Tomorrowland (showtimes were 8:10 p.m., 9 p.m., 10:20 p.m., 11:10 p.m. in 2018). Throughout the whole evening, the Club Tinsel dance party takes place continuously at Cosmic Ray's in Tomorrowland . For people who like characters, this is a fun way to interact with the polar bears and reindeer. They won't be signing autographs, but it's a chance to enjoy them in a different way than you normally would. This dance party in the Storybook Circus section features favorite characters, including Vampirina and Timon. They won't be able to sign autographs, but it's an opportunity to have fun with them. Shown 4 times per night in 2018 (7:40 p.m., 9:25 p.m., 10:30 p.m., 11:55 p.m.), this fun stage show includes lots of classic Disney characters. Like all stage shows, the best views are up close. 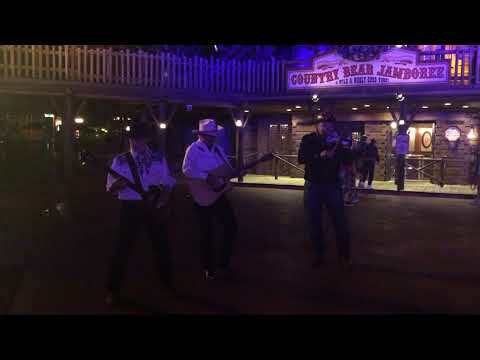 A fun and festive musical act that performs at 7:15 p.m., 8:05 p.m., 9:30 p.m., 10:30 p.m., 11:45 p.m. in 2018 during the party. Catch them when you're in Frontierland. Throughout the entire party, there are opportunities to meet with lots of different characters. 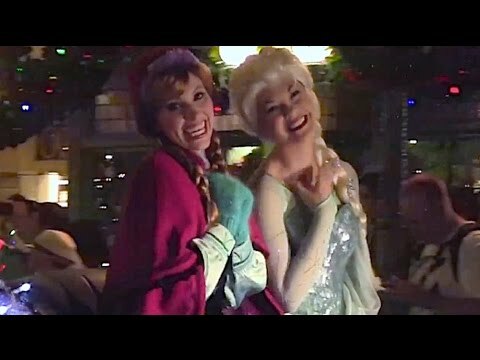 Most (but not all) of the characters are unique in that they are only available during the party, and oftentimes you'll find that they are paired up in fun combinations (like the princesses with their princes) and/or they are in super cute holiday attire. You probably won't be able to meet all the characters in 1 evening, so you'll definitely want to prioritize who you'll meet by what is most important for you. ³ exclusive characters, character combos, or character outfits that are very popular, plan to line up before the party or for shortest lines after the party starts go during the fireworks and parades or in the final hour. Santa Claus³ - near City Hall. Doesn't meet during the parades. Consider watching parade from front of Magic Kingdom and heading over to meet Santa right after. Jack Skellington as Sandy Claws and Sally¹ - inside Town Square Theater. People start lining up as early as 2:00. Jack and Sally start meeting at 4:30. Last hour of the party will usually give you the shortest waits. Check out the 2018 map below which has all characters with their locations. Click to view it larger. Not all of the rides and shows will be open during Mickey's Very Merry Christmas Party, but many will and with very little wait times. Please note that FastPass+ is not available during the party (and for most attractions, it's not needed anyway). Here's what was open in 2018. Note: the Jingle Cruise is often popular during the party because it's Christmas-themed, but it will be the same ride outside of the party. If there's a long line, consider catching it on a regular Magic Kingdom day. Like with Mickey's Not So Scary Halloween Party, you'll find exclusive PhotoPass opportunities at Mickey's Very Merry Christmas Party, too. PhotoPass photographers will take special photos during the party and when you see some of the pics afterward, you'll find something magically inserted into the photo. These are called Magic Shots. Both Memory Maker One Day and regular Memory Maker include all of the photos and Magic Shots taken at the party. Find a photographer on Main Street and tell them you'd like to do all of the Magic Shots. They'll pose you in various ways to make sure you get several of the special options. Find the Tink lantern in Fantasyland. Head toward Enchanted Tales with Belle, but just before you get there, you should see the Tink lantern photo op on the left. Find other random photographers throughout the night as you come across them. You can get this video when you meet Santa. And this Olaf video is an option too. During the party, there's exclusive merchandise available to purchase. Though you should probably be careful about spending too much of your party time eating, there are some Quick Service and Table Service restaurants available during the party. Table Service restaurants that were available in 2018 include Be Our Guest, Cinderella's Royal Table, and Crystal Palace. You can book those on the MVMCP dining page. One of the best parts about the Christmas party is the included treats that you can pick up throughout the park. Traveling with somebody with a food allergy? Disney notes that "Alternative healthy and gluten-free options are available upon request" and, of course, menu offerings are subject to change or availability. Specialty seasonal treats are available to purchase. * Table Service restaurants. Advanced Dining Reservations recommended, however, we don't recommend you spend party time dining at one of these restaurants. A special Sorcerers of the Magic Kingdom card is available to partygoers. You can pick up yours at the fire station on Main Street. If you have your party wristband, you can get this card before 7:00. For more info, see this guide to how Sorcerers of the Magic Kingdom works. You will not be able to do everything, so you'll have to prioritize what's most important to you. You'll have 5 hours, so be sure to use your time wisely. Watch the parade, but wait until the second one since it's less busy and you can do other things during the first one. Attend the shows - they are exclusive to this party and can't be seen any other time of year. Eating - you can get treats at many locations and there are some restaurants open, but don't spend too much time on that. Be sure to eat before the events begin so you can spend your time doing other things. Doing things that are not exclusive to this party which includes meeting some characters and riding rides. If you're attending on a busy night, focus on the exclusive things as opposed to things you could ride during the day. If you're attending on a less busy night, the short lines for rides are a lot of fun to take advantage of. 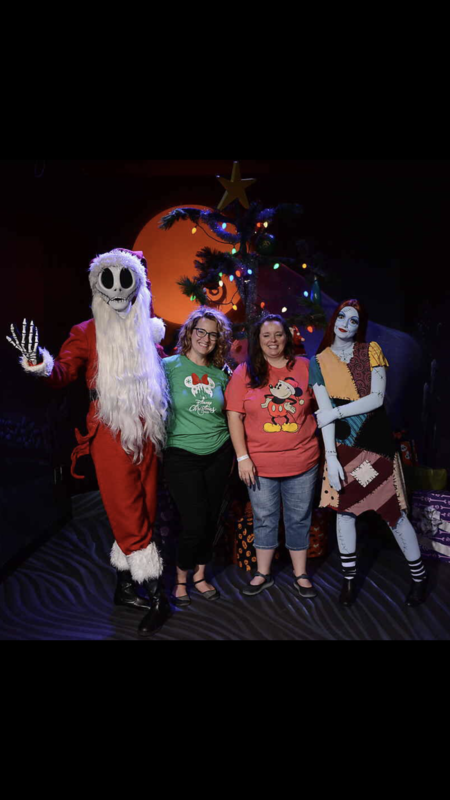 Jack Skellington as Sandy Claws and Sally - you can line up as early as 2 pm and the pair typically starts meeting guests at 4:30 pm. If your goal is to save party time, try to get in line as close to 2 as possible. If your goal is the shortest wait, get into line during the last hour of the evening when waits drop down to around 60 minutes. Moana - usually starts meeting at 5:45. Get in line around 5:00. Or wait until after fireworks when waits are much shorter. Want to meet the princesses w/their princes? Get in line by 6:30. Mickey's Most Merriest Celebration at 9:25 p.m.
Party within a party? Yep! Disney gives you options to book even more things once you're inside the Christmas party. These options provide treats and viewing areas for nighttime entertainment. These dessert parties provide a holiday-themed version of the Tomorrowland Terrace Dessert Parties. There are 2 versions - 1 with viewing from Tomorrowland Terrace and 1 with viewing from the nearby garden area. Both provide dining from Tomorrowland Terrace. This is not something that we generally recommend because it takes so much time out of the party and you should be able to easily find a spot to view the fireworks, but it might be a nice add-on for people looking to do something a little different during their trip. Time: 8:30 p.m. - 10:15 p.m.
A new come-and-go holiday experience makes its way to Tony's Town Square for 2018. This is an event that guests can pop in and out of as they wish. Guests dine on sweet and savory treats, along with both unlimited alcoholic and non-alcoholic beverages (as well as a festive holiday atmosphere that runs until 12:30 a.m., which is after MVMCP has ended). And, the best part is that included with the price to this "party within a party" is access to a special reserved area to watch Mickey's Once Upon a Christmastime Parade. Time: 9:30 p.m. - 12:30 a.m. Trying to decide which party to book? We don't think you need to do any, but definitely think the Tony's Town Square option offers the best bang for the buck. With unlimited food and alcohol, along with prime viewing for the parade, it's the best choice. Click to view larger version of graphic. For about $100, you get up to 8 hours in the park with an exclusive parade and fireworks, special character interactions, low wait times on rides, and complimentary treats. We happen to love the Christmas party and do think it's worth it for most people, although due to the late hours, we don't suggest it for most families with young children who would struggle to stay up that late. 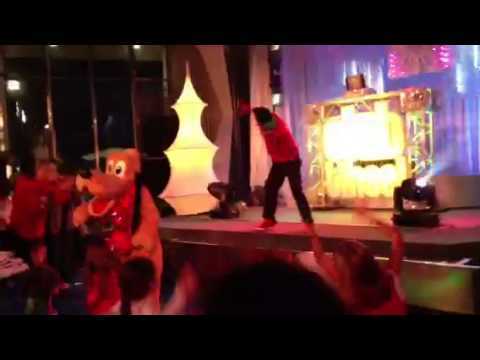 This party is just 1 of many things happening at Disney World in November and December. For the full list of events, see our guide to Disney World during the holidays. I MUST know more about this new Tony’s Most Merriest experience!!! You had me at “reserves parade seating”!!! 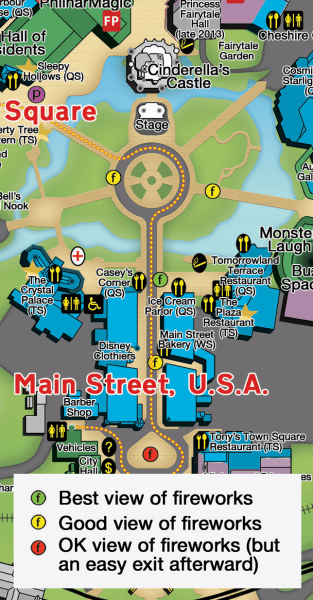 I’m so curious to know if the reserved spots are along the Main Street right up front where the snow falls??? This could be worth the $99 for my family of 6! Hope they release that info! I noticed that December 12th is a non-party day and thats the day I want to visit. Can I still see the fireworks and the castle lit up? The Castle will be lit up, and there will be fireworks. They will not however, be the party exclusive fireworks. Although if you are there on a night when a party is taking place, you can easily see the fireworks from outside the park. what is the process for booking FP+ from the 4-7 pm timeframe when only using a MVMCP ticket? Do I purchase before the 60 day mark and then link it to my account? Then I can book FP+ on that day and it won’t take from my ticket package? ex: I have 4 day passes and a party ticket (only using party ticket on this day), but book at Disney resort for the week. 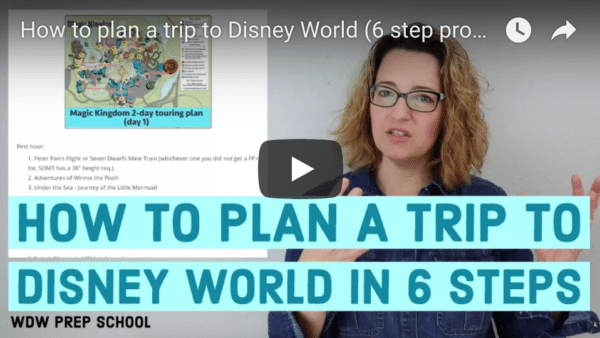 I can book FP+ for 5 days (one day 4-7 at MK)? When making fast pass reservations between 4-7pm when you only have a party ticket, can it be done when making my other fast pass reservations at the 60 day mark? Can you use the app or does it have to be same day kiosk? Just a heads up for fellow Military families, you CAN buy sold out party tickets at the gates for the Christmas and Halloween parties! No, there are never parties the week of Thanksgiving because shutting down Magic Kingdom at 6 p.m. for the parties during a busier week would be too hard to do.